I’ve lived a stone’s throw away from Tuscany at McKinley Hill for the past three years but I never imagined it to be this good. I experienced the so-so of the Venice Piazza – I guess it was just over-marketed that my level of expectation was just too high. But the surprise of being asked to go through a walking tour of eight of the dozens of bistros and restaurants was a delightful experience. It is now a must to be roaming around that single stretch of road where creative culinary and gastronomic science both meet Juan, the average man. Tuscany at McKinley Hill is Megaworld Lifestyle Malls’ newest addition to its style to dining nirvana in the heart of the metropolis. If in the early millennium started Eastwood City, that large parcel of land in Quezon City that used to house General Textile Mills then converted into what really looked very similar to the dining streets of Universal Studios in California, here’s its newest culinary sanctuary from the folks that also gave you Venice Piazza at McKinley Hill, Burgos Circle at Forbestown Center, Lucky Chinatown and Newport Mall at Resorts World Manila. It’s been hours since the walking and dining tour or #TuscanyFoodTour organized by veteran food, travel and lifestyle blogger Anton Diaz, and TV and events host and best selling author RJ Ledesma, both additionally famed for their successful Mercato brand of street food fairs. Our tour guides from Megaworld Lifestyle Malls Rachel and Cam (or Kam) gathered us as one small group, starting off at Planet Grapes and moving on to seven more stops. At the end of it all, it’s #burp and letting all that food and drinks simmer down and out of my system before I could get a good night’s rest. It’s a wine shop with the modern touch of prepaid cards and its wine stations (or wine serving machines) that gives a demure filling or a hearty half-a-glass for white wines. Its friendly servers offered us a plate of single-piece appetizers, including a choice of Penoy or Balut, the staple of Filipino street food and a foreigner’s exotic nightmare. The servers said red wine goes great with Balut. That I have to remember the next time around. The owner of this Tuscan-inspired restaurant Roland Lorilla was there to greet and orient us with the menu selections of his Italian cafe. We were told the word “Poggio” means “hills” and the hillside Italian sources of fresh farm ingredients makes the speciality menu items that his chef of 15 years experience provides diners. We were served white wine together with delectable hors d’oeuvres. The Prosciutto con Melone (ham and melon on pizza crust) was a surprise – ham and melon? Who ever thought that tasted great? There was also Crespella del Poggio Antico or crepe stuffed with ham and cheese, and mushroom in truffle sauce where anything with truffles is a gastronomic wonder. The mozzerella crostini or Promodoro e Mozzarella Crostini and Oyster Sur Pate di Fegato (oyster on liver pate) was also great. Who doesn’t care for Mexican food even if our country hero Manny Pacquiao keeps fighting the Mexicans here and there? Burrito, taco salad with corn (now, that’s new), Mexican pizza and mango glazed chicken were the entrees served to us at this Tex-Mex restaurant. One rare find some of my blogger-friends knew they had was the hotter than the hottest hot sauce. Was that called “Ghost Sauce?” Or it sounds ghost-something similar. The tongue isn’t where the zing is, according to one who tasted it. The after-effect makes you sweat like an oven. Finally, the resurrection of an authentic New York style bagel shop. Lower East Side is where the American owner (cute, single guy according to the girls) says his freshly boiled-then-baked bagels is patterned from the real, authentic New York way. In the early 90s, the first bagel store in the Philippines by my experience opened at Greenbelt 1 called Bagel & Co. That didn’t last long seeing that the dough looking like donuts didn’t hit the simple food culture of the Filipinos then. The last bagel shop I know (that also closed down) was located in Filinvest Alabang. Thank goodness a revival is alive here at Tuscany in McKinley Hills. Of course, every cream cheese flavor served owes its basic ingredient to the Philadelphia style. This is a must-keep-going-back breakfast-till-midnight-snack hangout. By this fifth #TuscanyFoodTour place, I’ve been stuffing myself with a fiesta of wine, appetizers and small-portion entrees. Now comes the big boy – steak! And pizza, too! Not the most tender I’ve tasted but considering the shared environment of the food tour, it wasn’t meant to be. I’ve eaten at Marciano’s in Greenbelt and the steak I ordered there was tender. However, warm pizza still tastes good nonetheless. Their kitchen is managed by Giorgio Buciarelli, an Italian chef who creates these al dente pasta creations (I didn’t touch the linguine anymore) and freshly carved pizza delights. But I had to get their Panna Cotta dessert on a shot glass to wash away the rich tastes of all the appetizers and entrees through these five restaurants. What’s food that’s Canadian? Umm… maple syrup and Canadian bacon? Would you believe French Fries from Quebec? They call it Poutine, french fries with a heavy serving of beef gravy and cheese curds. They cut a what-looked-like a pound of Wagyu burger into six slices but that Wagyu beef served any style will always hit that excited tongue receptor buds. Ahh… ice cream was served last. Now, here’s a gelatto that’s maple syrup flavored with bacon bits. Huzzah! The Canadian experience is complete. 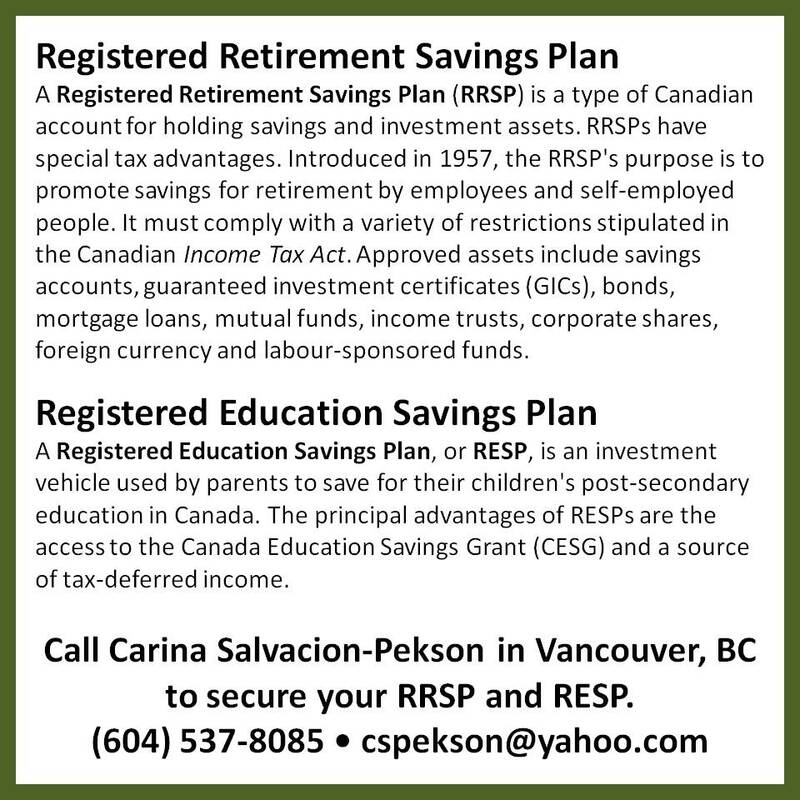 The restaurant’s Filipino-Canadian owner spent his little less than 10 years going around the restaurant market of Greater Vancouver in B.C. before going back to the Philippines to open Main Street in Tuscany at McKinley Hill. It’s a pink store and my daughter would love eating here with her Canadian friends. And it’s a cupcake store. I think the story here is that the Mom kept baking cupcakes to her daughter Sophie and her high school friends, when cupcakes were all the craze and wars about it began on primetime television. My colleagues said they were good. I’ll leave the ladies and girls to their passion for cupcakes and trust them on their word that it’s a must visit. Finally, the last of the eight restaurants we were being toured at. Our Megaworld Lifestyle Mall rep Rachel was still with us (minus Cam), ever so patiently guiding us to where to go next. And she saved the best for last. This is the second branch of Sauceria – the first was put up three years ago in San Juan. The owner whom I didn’t get the name says they cater to the artisanal way of preparing and cooking food – nothing artificial will ever get into their food. And the owner’s explanation makes food cooked in Sauceria sound like rocket science. Research on the number of taste buds we have, categorized flavors, fresh versus not-so-fresh, and the mix-and-match that goes into each delicacy item I think makes this newly opened restaurant a true winner. “The rich flavor of food begins with the right sauces,” as how the place gets its name and the literal reason why. Definitely, a two-thumbs-up, must-come-back place. HOW CAN YOU EXPERIENCE ALL THESE AND MORE? 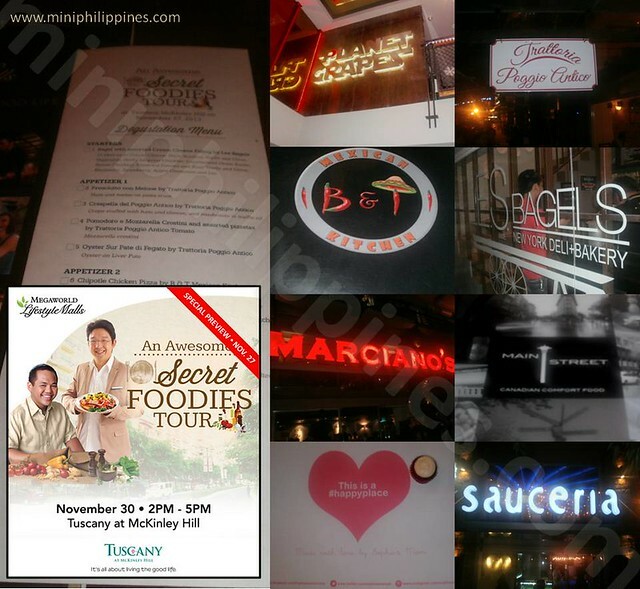 The Megamall Lifestyle Malls will be running this kind of tour with all the restaurants along the Tuscany mall street participating starting on Saturday, November 30, 2013, starting 2:00PM till 5:00PM. It will continue at the same time span on December 7, 14 and 21. Ticket price is 1,000 Philippine Pesos (roughly $22) per head. You may call fixed/landline numbers +63 (2) 709-0888, +63 (2) 709-9888 or +63 (917) 838-0111. Trust me to say that you have to prepare yourself for an experience you’ll need to diet the previous days before engaging yourself in this kind of feast. I didn’t, I should have and the next time around, I will. 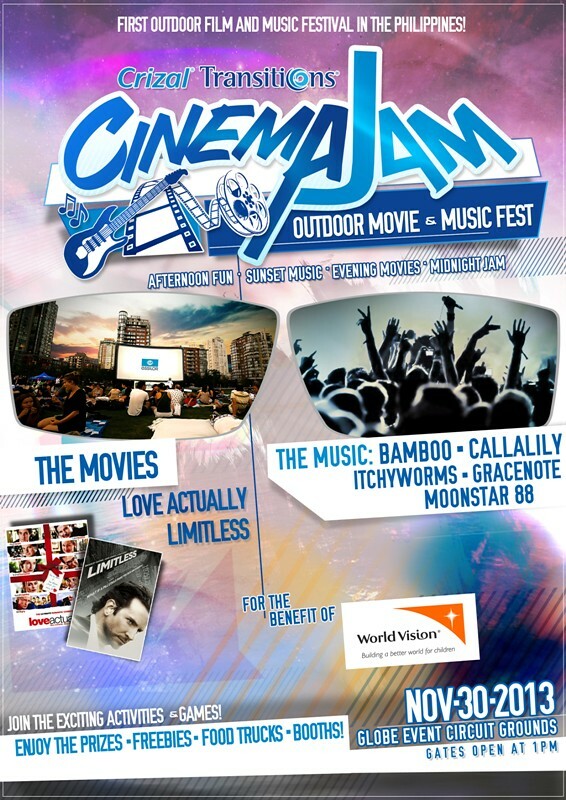 Cinemajam is the first ever outdoor movie marathon and music festival in the Philippines which will be held on November 30, 2013 at Event Circuit Makati. This event is spearheaded by Crizal Transitions, the world’s leading Photochromic lens that adjusts to any lighting condition. 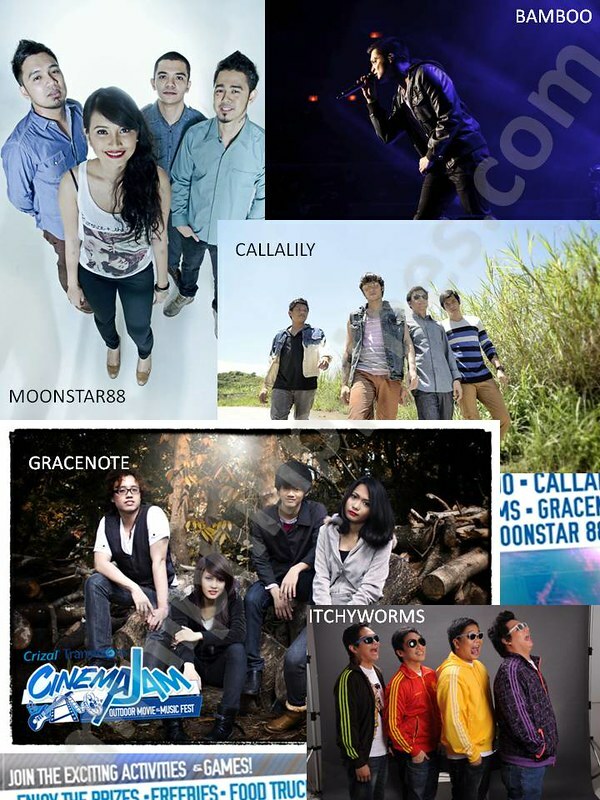 Tickets are available from Ticketworld at Php 1,350. Proceeds of the event will benefit the children of the World Vision Foundation. Get two (2) free tickets with every pair of Crizal Transitions. Poster, photos & images from Crizal Transitions. Jessica Sanchez, the global Filipino’s favorite and bet to the 11th season of the popular American reality-singing competition American Ido which she won runner-up, will be performing her first StageIt.com concert on November 16, 2013 at 9:00 AM CST (or 9:00 PM of the same date for the Philippines). All the proceeds of the half-hour show will be donated to the American Red Cross for the benefit of the victims of typhoon Haiyan in the Philippines. Ticket price is $10. She released two singles with independent record label Spin Move Records: a cover of “Don’t Stop the Music” by Rihanna for iTunes and a cover of Etta James’ “I’d Rather Go Blind” for YouTube and exclusive download on the label’s website. She also sang The Star-Spangled Banner before a San Diego Chargers versus New York Jets matchup and before a San Diego Chargers versus Miami Dolphins matchup. Sanchez was also one of the singers in the video “We Are the World 25 for Haiti (YouTube Edition)” for charity relief for victims of the 2010 Haiti earthquake which collectively recognized all the participants as “Persons of the Week” on ABC World News with Diane Sawyer on 2010. On July 8, 2011, Jessica auditioned for the eleventh season of American Idol in her hometown of San Diego, California at the age of 15. She made it to the Top 2 finale but she received criticisms of her lacklustre rendition of her single “Change Nothing” besides her second rendition of the season of “The Prayer.” Even if she received a standing ovation from the judges during her duet with Jennifer Holiday of “And I’m Telling You I’m Not Going,” she finished as runner-up behind season 11 winner Phillip Phillips. 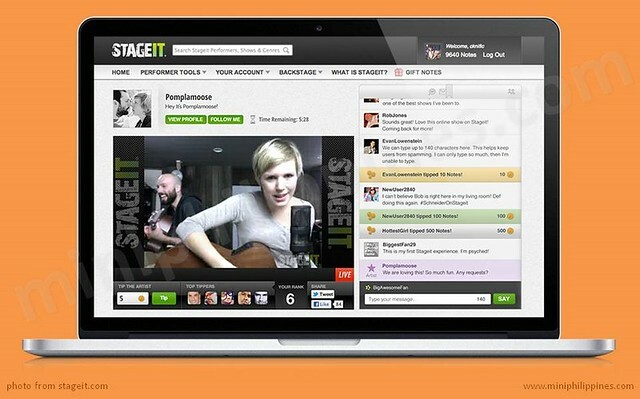 Stageit.com is an online venue where artists perform live, interactive, monetized shows for their fans directly from a laptop, offering fans unique experiences that are never archived. Every Stageit show is a once-in-a-lifetime experience that’s not to be missed. It allows both fans and artists to be part of the show. Fans are encouraged to ask the artist questions, request songs, and even chat with other fans during the show. Stageit.com thus enables fans to support artists. Whether you’re helping an artist finance their next album or contributing to the performer’s favorite charity, Stageit artists actually get paid for their time. Lastly, artists decide when to play, what to play and how much they want to charge. Fans then buy virtual tickets to the show using our virtual currency called “Notes” (1 Note = 10¢ USD). From Rick Springfield to The Game, Jake Owen to Carly Simon, and Phillip Phillips to Less Than Jake, Stageit.com allows for any genre or type of act. Even comedians, chefs, magicians, and other types of performers also share the stage, including Jamie Kennedy, Pablo Francisco, Chef Art Smith, and more. To RESERVE A SEAT and WATCH Jessica Sanchez perform live, please go to Stageit.com. It has been three days since Haiyan or Yolanda, the most powerful tropical cyclone or typhoon ever recorded, has brought death to thousands of Filipinos in Central Philippines, and millions more have been affected and displaced with destroyed homes. On top of this, chaos has emerged among the populace because of the lack of food, water and basic social services. Now, the international call for help has loudly been broadcast by several international relief organizations to come to the aid of the predominantly Catholic country in Southeast Asia. Here are several ways YOU CAN HELP through the various local and international organizations listed below. 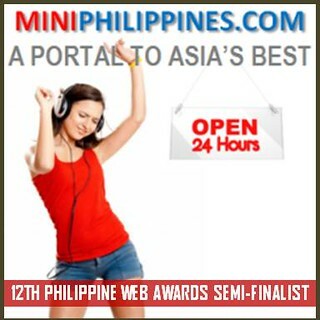 If there are any errors to the links, kindly report it to MiniPhilippines.com so the author and webmaster can fix the issue. E-mail your transaction receipts to lizaban2@gmail.com for proper acknowledgment. LBC in UAE accepts in-kind donations but not “used clothes” a problem with Philippine customs policies. LBC will accept blankets, shoes or slippers, canned goods, and toiletries. 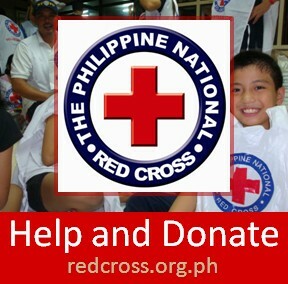 All boxes of goods should be addressed to the LBC Foundation that will send the goods to the Red Cross. Drop them at the Karama and Abu Dhabi offices of LBC in UAE. Read more at source. Plans to offer shelter repair kits for families who need to re-build their damaged houses. Plan is a global children’s charity. MiniPhilippines.com was lucky to get the last invite from new media colleague Azrael for the premier film showing of “Chasing Ice,” a film that showed the tricky assignment of acclaimed environmental photographer James Balog on the melting glaciers of the Arctic region. This National Geographic project was to capture images that help tell the story of the Earth’s changing climate. But instead of showing graphs, charts and statistics, Bolog’s time-lapse photographs clearly proved what the scientists and environmentalists have been saying all along — that mountains of ice have been disappearing at a breathtaking and alarming rate. For the first time, you can watch “Global Warming” on film rather than read it. Chasing Ice has won several awards, including from the 2012 Sundance Film Festival and SXSW (South by Southwest) Film Festival. 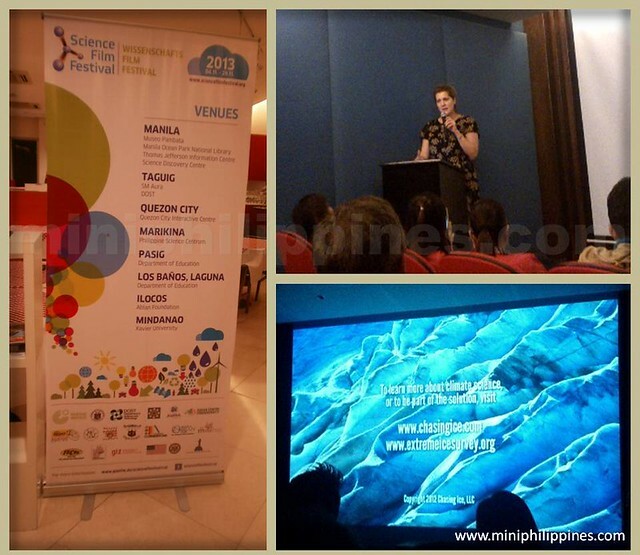 The film showing was done yesterday evening at the Alliance Française de Manille in Makati City, organized by the Goethe Institut and the Embassy of the United States of America, with the participation of the Department of Science and Technology (DOST). A crowd of new media bloggers representing Azrael’s Merryland, Juan Manila Express, Work@Home Pinas and RogueWriter, to name a few, and teachers and other guests were treated to wine, juices and a variety of food before everyone was ushered to the auditorium of the French cultural center. The director of the Goethe Institut, Dr. Petra Raymond, spoke about the film and the entire Science Film Festival (click this link for more information) that will take place between yesterday, November 4, until November 29, 2013. Films will be shown at the ASEAN Centre for Biodiversity, Manila Ocean Park, Museo Pambata, Philippine Science Centrum, Quezon City Science Interactive Center, Ablan Foundation, the U.S. Embassy Manila, SM City Baguio, SM City Clark, SM City Lanang in Davao, NIDO FORTIFIED Science Discovery Center and inside the Department Of Science Technology’s Science Explorer Bus that will be toured in Tuguegarao, Cagayan. Desiree Gestiada of Manila Ocean Park and Ivan Roblas from the Department of Science and Technology both hosted the evening’s preliminaries of introductions and speeches from the representatives of three organizations sponsoring the film showing. Thirty films from 18 countries were selected by a Film Selection Jury composed of luminaries in the field of science and technology, culture, biodiversity and media. The films are divided in categories such as Family Edutainment, Ecology and Environment, Natural Science, Life Science & Technology, and Culture and History. The festival has grown considerably since its first edition in 2005, meanwhile becoming the largest event of its kind worldwide in terms of audience reach with 130,000 visitors in 2010, 240,000 in 2011 and 370,000 visitors in 2012. The theme of the festival this year 2013 is “Energy and Sustainability.” It looks at what solutions science and technology can offer in safeguarding the resources and benefits of the present for future generations and why civilization might be facing its greatest collective challenge in history this century. The Science Film Festival 2013, being held internationally from October 7 – December 15, 2013, takes place in Cambodia, Indonesia, Jordan, Laos, Malaysia, Myanmar, Palestine, the Philippines, Thailand, the United Arab Emirates, and Vietnam. For more information, you can visit the Science Film Festival 2013 website of the Goethe Institut. You may also “Like” their Facebook Page and view the photos and posts about the festival, or message the organization for more information.